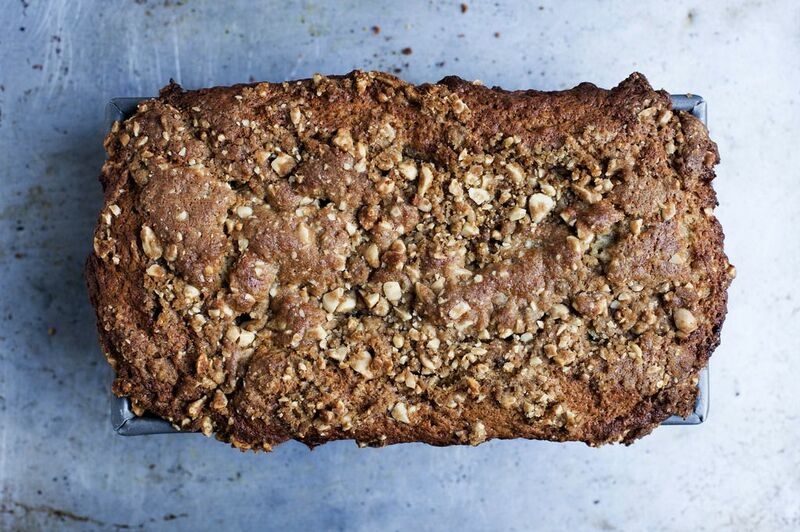 Today: The banana bread to make in your free time. You have two hours until your son rushes back into the house from school and begins eleven days of spring break. Two hours to organize eleven years' worth of your kids’ art. Two hours to try on and reject all of your bathing suits. Two hours to figure out the book you want to write. Instead, you move the food processor to the right side of the kitchen and plug it in. Two hours to master the mandoline. Two hours to track down the electrician to figure out why none of the outlets work on the left side of your kitchen. You brown the butter until it smells just right. Two hours to make skin cancer screening, mammogram, oil change appointments. Two hours to clean up the mess the Easter bunny made when she dumped the contents of the toy bin outside to make room for the baskets, thinking it would never ever rain again in California. You gather roasted peanuts and two very sad bananas. Two hours to dissect the ins and outs of the Iran Nuclear Deal and Indiana’s Religious Freedom Restoration Act. You think about the drought and the melting polar ice caps and how much waste there is in your kitchen: half-eaten apples, salami and cheese sandwiches smushed in bottoms of lunch boxes, a back porch strewn with Ziploc bags and vinegar and baking soda from a weekend of baggie bomb wars. Two hours to sharpen your knives. You pour your son's leftover breakfast into the food processor: one bowl of plain yogurt, half a glass of orange juice. Two hours to find the popover recipe you developed over the course of three months and then lost somewhere in the kids’ paper trail. You smack an egg on the counter. Again. And again. It’s hard-boiled. The Easter bunny needs to organize her fridge. You sift the dries and pulse the wets. As you mix them together, you look for pockets of flour, remembering how your mom taught you to fold: cut down the middle, flip the spatula, quarter turn the bowl. Two hours to clean up the kitchen mess before you need to start cooking the next meal. You press in the peanut streusel. Two hours to crawl into bed and give up. Your son dashes in. Ready for 264 hours of spring break. Ready for a piece of banana bread with butter. Ready for you. Two hours to remember who you are, why you're here. Love this post, Phyllis! So very (sadly/joyously) relatable! Back in January, I was DESPERATE for an updated banana bread recipe (I ended up posting one on my site that includes coffee & toasted quinoa), though yours definitely would have been a serious contender! I'm going to try this one out over the weekend! Yes please and that streusel topping - yum! 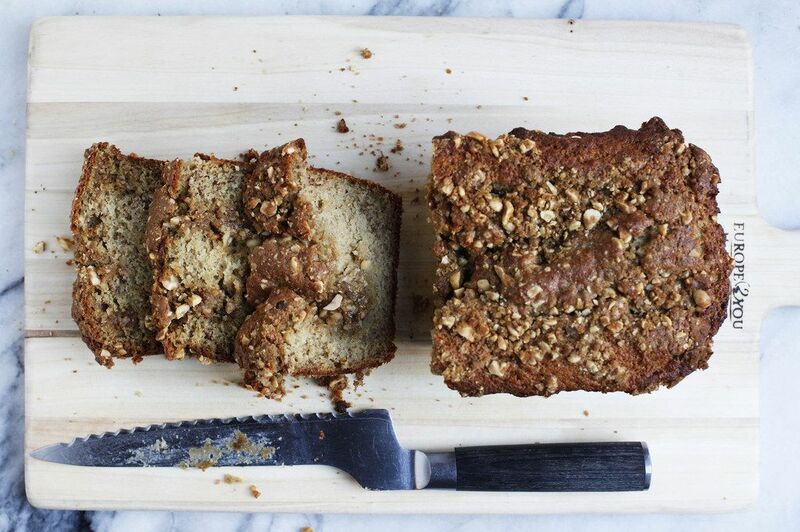 here's to brown butter banana bread! thanks for sharing your recipe. I love your food. I love your writing about food and family and how they're constantly crashing into each other and simultaneously supporting each other. I feel like I am always collecting banana bread recipes but then eating all my bananas before they reach the zone needed to achieve my goals. This loaf will make me buy special bananas worth waiting for. food and family. crashing and supporting. beautifully put. thank you. Phyllis - my kids are mostly grown and out of the house and I can still relate! Love your descriptions of the day to day joy/hell/fun that is parenthood.